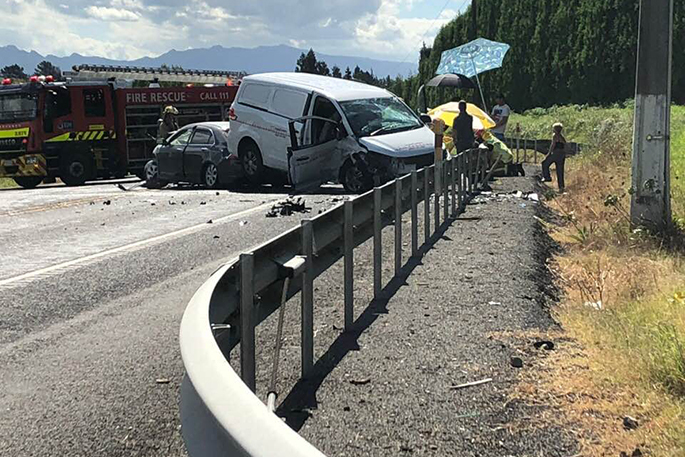 The result of a recent collision on State Highway 2 in Te Puna. Residents are demanding action, and threatening to blockade major highways if the road is not improved. Photo: Sean Lett/Facebook. Western Bay of Plenty residents are threatening to blockade all the main routes into Tauranga if steps aren’t taken to make State Highway 2 north of the city safer. 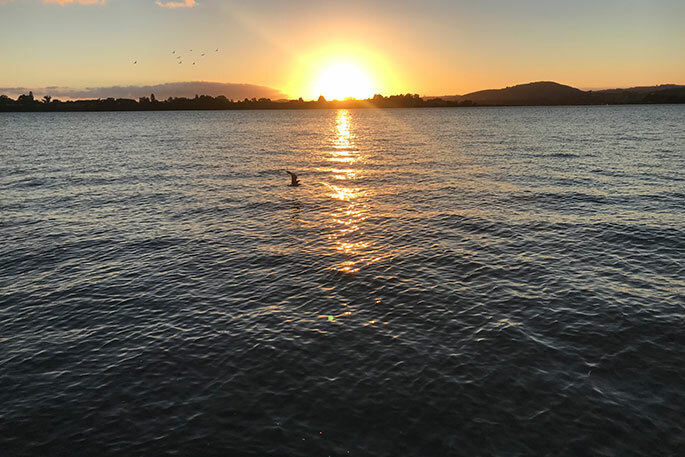 Te Puna resident Sean Lett says such actions would be a last resort after making submissions to the Bay of Plenty Regional Council and ‘bombarding’ government ministers with emails. “We want to show we’ve tried all the nice and cuddly avenues first,” he says. 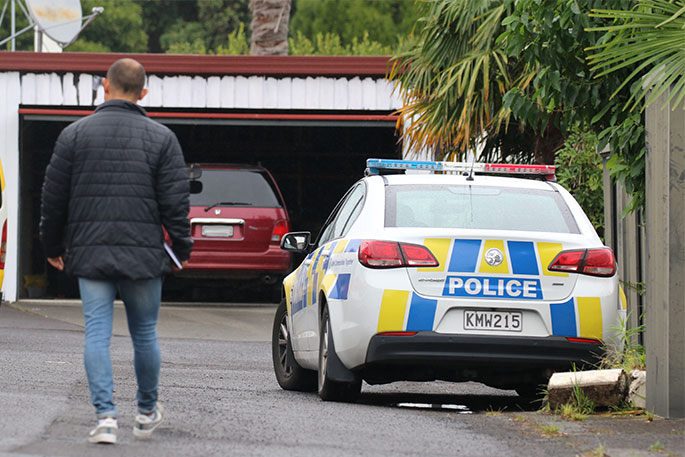 Sean was among several residents who live near State Highway 2 between Te Puna and Omokoroa who met at Top Shot Bar in Te Puna on Tuesday night to discuss their issues with the road. Residents in the area are frustrated at the high number of crashes on the highway, a number of which have resulted in fatalities. Sean says the idea of blocking the road has been discussed, and resulted in some people on social media saying it shouldn’t happen, or that they would ignore the blockade and drive straight through it. But he’s unrepentant. Protest organiser Andrew Hollis started a Facebook group on Wednesday afternoon – ‘Fix the BLOODY Road’ – which already has several hundred members. 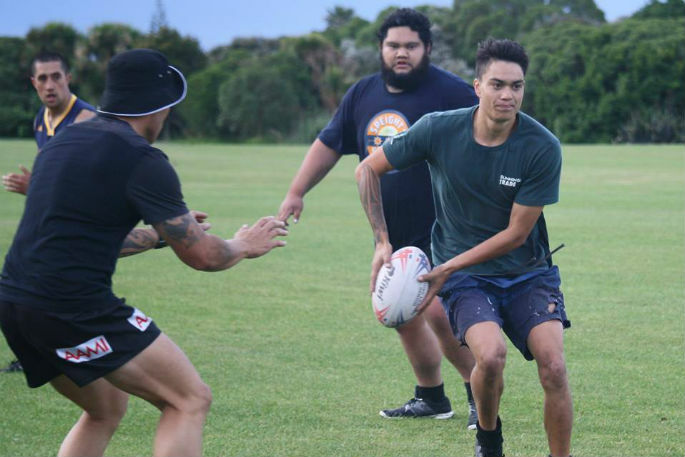 “The motivation behind it is what happens to my phone whenever there’s a fatality out between Te Puna and Apata, when the community starts asking: ‘Is it one of us?’” he explains. He says the road toll is ‘horrendous’ on that stretch of highway, and now he and others are organising themselves to push their case to the rest of the community and the government. There isn’t a timeline as yet on when roads might be blocked, but Andrew is already putting steps in place to do it. He also says they’ll be aiming to block not just State Highway 2 north of Tauranga, but the Eastern Link, Pyes Pa Road, and Tauriko – all of the major routes into the city. Sean says the long-term solution is to get on and four-lane the highway. In the short-term, though, he’d like to see the speed reduced. “I’d like to see it 70-80km between Katikati and Tauranga, except maybe for that new bit with the median barrier. Acting Western Bay of Plenty road policing manager Senior Sergeant Wayne Hunter says they do not have a position on the protest, but will do what they can to make sure everyone involved is safe, including their own staff, protesters, and motorists. Last year State Highway 2 was closed at the Wairoa Bridge for around 15 minutes while a number of private citizens walked across it in protest over competing Waitangi Tribunal claims. It resulted in a traffic snarl-up that wasn’t cleared until two hours later. At the time, Senior Sergeant Ian Campion told SunLive police and the NZTA were advised of the proposed march by the organisers. Their role was to ensure the lawful right to protest was upheld, while ensuring the safety of all involved. SunLive contacted the NZTA at the time to find out what the guidelines are around private citizens shutting down the Wairoa Bridge, or any section of state highway. 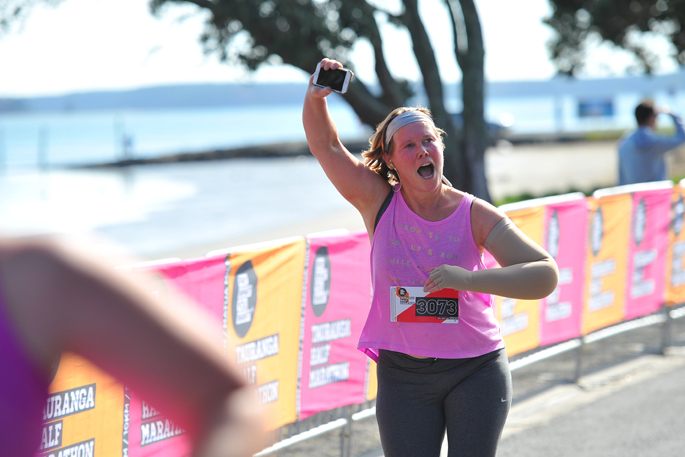 “State highways may be temporarily closed for planned events such as parades or sporting events or for unplanned events where public safety is a priority,” says a NZTA spokesperson. “Planned events require an applicant to detail the purpose of the event, provide a description of the course to be followed, communicate with affected stakeholders such as local authorities, and clearly show how traffic, participants and spectators will be managed on the day. Under the Land Transport (Road User) Rule 2004, pedestrians must, at all times when practicable, remain on the footpath if one is provided. Non-compliance may result in a fine of $35. I can see both sides. Here’s a suggestion. Put crosses up at the site of accidents in the last 5 year. A red cross for a death orange for an injury and green for one involved in the accident. This would create a talking point and also it would educate drivers to the dangerous stretches of road encouraging then to be aware and slow down on those stretches of road. It will also create a discussion amongst individuals communities and encourage those who feel strongly about change to get involved. Engage local papers and community groups to deliver the message. Positive outcome for all involved. ? Centurion - you absolutely hit the nail on the head - say no more everything you said is EXACTLY the problem! Problem is with everyone wanting to pass everyone in front of them is that the slow idiot always seems to suddenly speed up - people need some serious driving lessons in this country - foreigners included BIG TIME! and I recently spent two weeks on North Island roads, including Tauranga-Katikati. Personal observation ... there are some bloody terrible drivers on NZ roads. Common faults? Must pass everything in front of me (particularly at the end of an overtaking lane), tail-gating, forgets where the indicator switch is, roundabouts (don’t get me started on that one), and an absolute lack of courtesy. Put the blame where it properly belongs, on the nut behind the wheel. I’m pleased to say that I’m now back in a country where drivers know how to drive responsibly, and I feel quite safe again. NZTA and government need to get on and make SH2 between Katikati and Tauranga a "Road of National Significance", four lane it, sort out all the dangerous intersections, straighten the dangerous bends (Apata in particular) and ease congestion. The road is now the most dangerous in NZ and simply cannot cope with the traffic volume. However, I don’t believe a speed reduction is warranted. These accidents are not due to speed (other than those who break the existing limits) but poor driving on an unforgiving road. Making the limit 70 or 80 is just idiotic and will just increase driver frustration. Drive sensibly and to the conditions. After all, most local feeder roads to the highway, some of them unsealed, have a 100 limit and you can rarely achieve that even if you wanted to. Blocking the road will only make things worse, people will be late for work or going home etc and will drive more irresponsibly, I agree the road needs to be fixed, as do hundreds of others around NZ but protests will not fix the problem, talk to your MP, the council etc , talk to the Prime Minister but dont make the problem worse by your irrepressible actions. Lobby the LTA and Police to have temporary speed limits imposed until the road is fixed, it will take several years to do anyway so whatever happens it wont be overnight. Meanwhile lets have some cool heads and common sense. Perhaps the decision makers stalling all should be charged with murder each time it happens/fatality on the roads. Eventually NZTA will appoint someone who will do it to then avoid jail? I’ll be on the front line of any blockade. Something drastic like this needs to happen if decision makers refuse to listen and act. We need real effective action. And users of the road have to understand there has to be inconvenience to get things done. You do realise that blocking the road will likely result in a crash once it’s unblocked?! Misplaced action I’m afraid. The road toll is horrific in all of NZ, due to terrible driving, end of. You should be "bombarding" the relevant people to make our roads safer by improving or increasing things that matter like testing, bans, crushing cars, drug tests, fines, trucks off the road, etc,. But it looks like you’re only bothered about "your" bit of road. Up to every injury and death now, this road upgrade to year 200 standards has still not been seen as necessary, so yes, bloody good idea to blockade the road as a protest, to gain a louder voice.